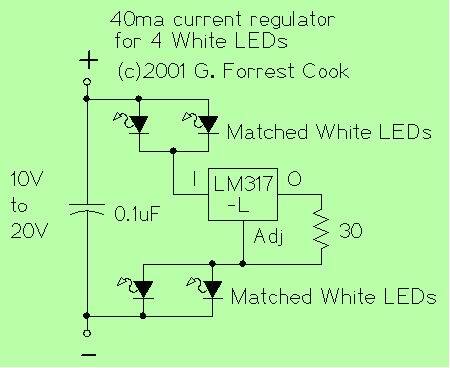 There is one trick with this circuit, matched pairs of LEDs must be used. Normally, a batch of LEDs from the same manufacturer will be matched close enough for this application. If unmatched LEDs are used, one LED per pair will be bright and the other one will be dim. It is best to first build the circuit on a plug-in proto board to verify that the LEDs light evenly. 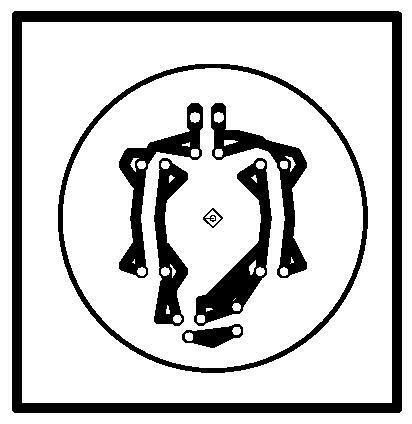 A small circuit board was made using press-n-peel blue film, the board was cut into a circular shape using a nibbling tool. The parts were soldered in, and the board was mounted inside of the bottle cap. The bottle cap protects the LEDs and prevents bright light from coming out of the side of the assembly. The cap came from a 1 Liter "Aqua Fina" brand water bottle. The single screw can be used to mount the assembly to an external bracket. The completed circuit board and cap assembly was mounted in an old automobile turn signal. 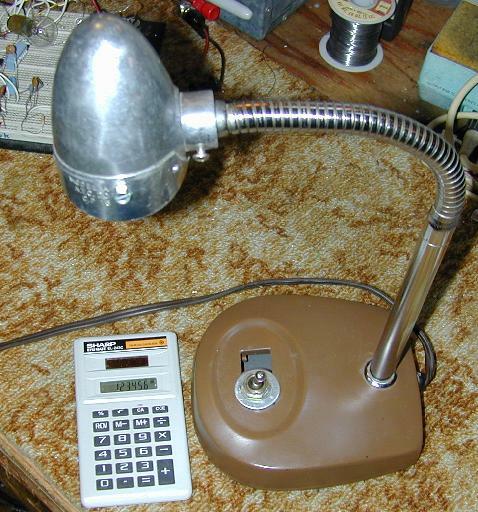 The lamp head was mounted onto the end of an old fluorescent lamp base with a goose neck adjustable arm. The resulting lamp is quite effective for night reading, and it's not too ugly. If you have a variable power supply, it is best to bring the voltage up slowly the first time power is applied to the circuit. If any of the LEDs don't light, turn off the power and fix the problem. If all of the LEDs light up evenly, the circuit should work (for many years) on 12V. The Jpeg version may need scaling down, the circle is slightly less than 1" tall. This circuit is agood idea,I l like it. can you you design for io used 3emergency lightand explain about the White Led Thank.